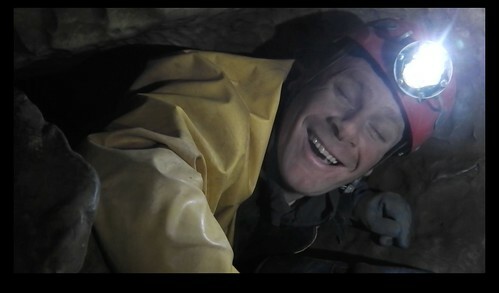 A video thread on UK Caving? Re: A video thread on UK Caving? The single scariest 'caving' passage I've ever read (I was 8 at the time) remains the bit where they go sumping in the Weirdstone of Brisingamen, and it can still give me a degree of rectal uncertainty. This was right up there with it. Enormous respect! Here's a longer edit of Fenix Lighting The Way looking at the potential of using Fenix FD65 focusing torches as video lights. What's put a smile on Chunky's Face? What tune are they playing? To find the answer to these questions and find out how the lights performed watch the video. Go on, go on, go on, go on. You know you want to. 2 Likes Caver Keith and chunky like this. It's a bit like proper caving. 3 Likes Goydenman, TheBitterEnd and chunky like this. Looking at some of my old videos and came across this from a couple of years back. Technically not a cave so might not be allowed! Just as fun though! Hiya...I'm an Amateur Caving Video/Photographer...got some kit....If I can help I will....Let me Know. So I've finally got round to start putting together my entry for Hidden Earth video salon this year. Here is the trailer to get you all excited! Does Professor Watson eat them all in his sleep and wake up to find the pillow gone? Yum, I love it already! The entry deadline is 11pm on Saturday 15 September. Entries must be limited to a maximum of 10 minutes in duration (including titles). 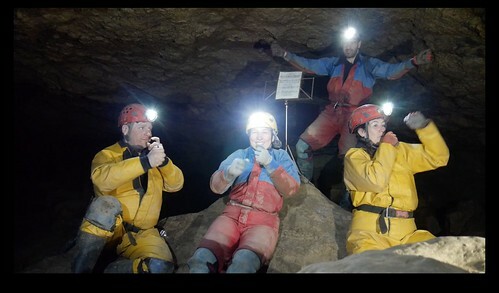 An increasing number of quality caving films and lectures are appearing online. To make life a little easier in tracking these down, a new page on the Descent website has been created at https://www.wildplaces.co.uk/content/166-caving-films. Cwmorthin Slate Mine. A Dudley trip from earlier this year. 1 Like Judi Durber likes this. For the last 6 years I have produced an annual roundup video. 2017's film 'Best Extreme Caving Video Moments 2017 with Dudley Caving Club' was my most successful by far. It has been watched over 1.6 million times. I’m a little behind schedule this year, but I have been beavering away over the last couple of weeks and 2018's offering is now ready for release. I've decided to experiment with YouTube's new premiere feature. If anyone wants to see how this works then you can sign up using the link below. 2 Likes dudley bug and Pegasus like this. 2 Likes oldcaver and Pegasus like this. It premiered on YouTube this evening at 7pm to a packed house. It was great fun knowing that I was watching at the same time as my army of admiring fans, watching the comments ping up in real time on my screen and seeing the 'like' counter go into overdrive. It premiered on YouTube this evening at 7pm. On a couple of occasions during the showing the audience briefly reached double figures. There were a handful of comments including one from a troll. Perhaps I'm not quite well known enough for YouTube Premieres - just yet anyway. I made this video in February 2016 when I couldn't go caving due to injury and it's just hit 5 million views! It was inspired by the Red Bull video 'This 60-second clip makes you feel claustrophobic' although my version lasts 85 seconds. It's made up of clips filmed between 2010 and 2015 mostly of cavers negotiating some snugger cave passages. To make the film feel exciting I cut the clips to the beat in a piece of dramatic music. I would like to think that it demonstrates the massive importance of editing in making caving films watchable to cavers and non-cavers alike. 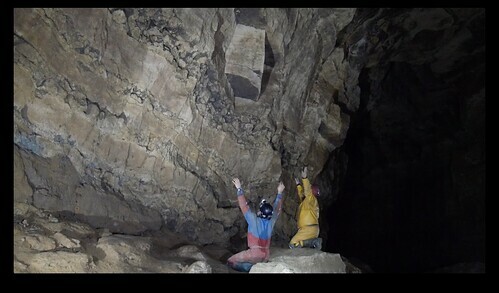 It was initially used for a UK Caving competition sponsored by Warmbac. The entrants had to name as many caves as possible featured in the film. Thanks UK Caving and Warmbac for getting the video off to a running start. PS. 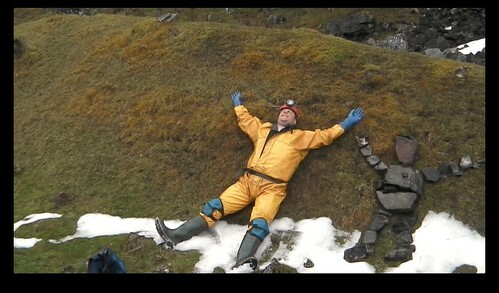 To win a starring role in a future CK Production PM me with the UK Caving username of the owner of the wellies featured in the thumbnail for this video. 3 Likes chunky, PeteHall and Pegasus like this. Ian demonstrates the best way to tackle the infamous corkscrew squeeze in Ogof Pen Eryr. As he says, "That was not easy. [Sigh, sigh]. I mean I made it look easy but it wasn't." Oh no! It's The Dudley lot again!